The Sacred Gate was on the southern wall of Miletus. It was called "Sacred" because it marked the beginning of the Sacred Way connecting Miletus to the sanctuary of Apollo at Didyma. 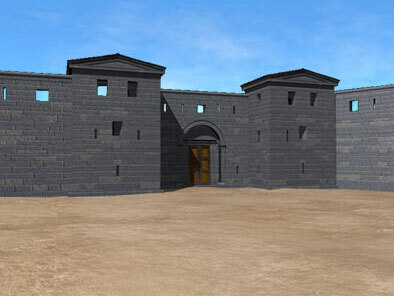 The monumental gate underwent many architectural phases. Initially, during the Archaic period, it was 5 metres wide and flanked by two almost square towers. In Hellenistic times, the gate was reconstructed on the foundation of the older one. During the early Imperial period, the older gate underwent changes. During the reign of Traianus(100 AD), the Sacred Gate was rebuilt. This is also when the Sacred Way was repaired.